Stephen Feltoon grew up in a household of healthcare providers and has ended up in the family industry, by way of a unique path. After graduating from Miami and working at his first professional job, Stephen still felt a calling to work in healthcare. Respiratory care practitioners are responsible for the prevention, treatment, management and rehabilitation of patients of all ages with deficiencies or abnormalities associated with the pulmonary system. Sinclair College offers a Respiratory Care program designed to be completed in six semesters on a full-time basis. 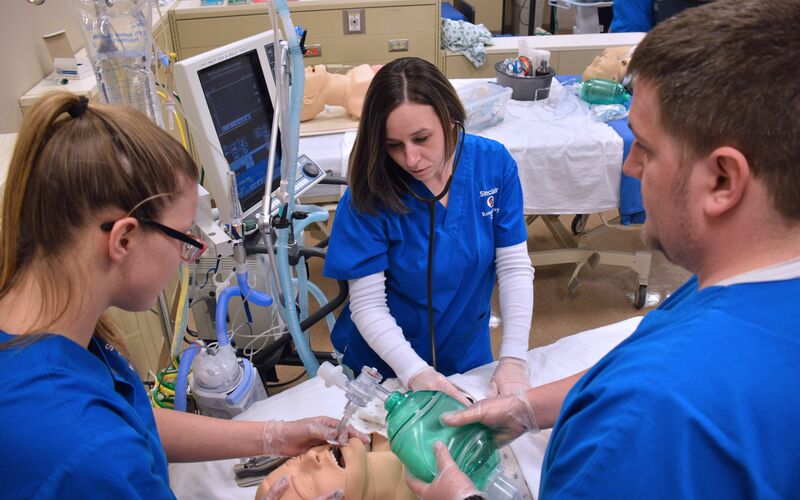 Sinclair’s Respiratory Therapy Program is a mixture of classroom and clinical instruction. Sinclair has relationships with regional health systems to allow students to receive exposure to patient care situations through clinical rotations while completing the program. Stephen had a positive experience in the classroom as well. Everything was great at Sinclair. The faculty are very passionate about what they do and they instill their knowledge and passion in their students,” says Stephen. “They really make an effort to ensure that students succeed. 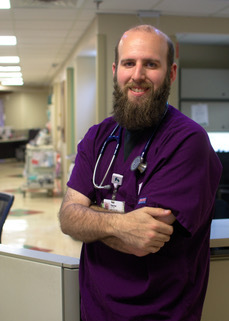 While working, Stephen was inspired to continue to further his career in the medical field and has returned to Sinclair. “Since I had such a fantastic experience with Sinclair’s respiratory program it was a no-brainer for me to take as many pre-requisites as possible back at Sinclair,” says Stephen. Stephen is completing biology, chemistry, organic chemistry, and other classes at Sinclair necessary to pursue his physician assistant degree and continue to provide healthcare to people in our region.